As government security forces clash with protestors and inflation continues to rise, tension and economic instability in Venezuela are escalating rapidly. The 3,500 families Unbound serves in Venezuela face the daily hardships of food scarcity, transportation interruptions and power outages. You may have seen news reports on the increasingly volatile situation in Venezuela over the past several months. 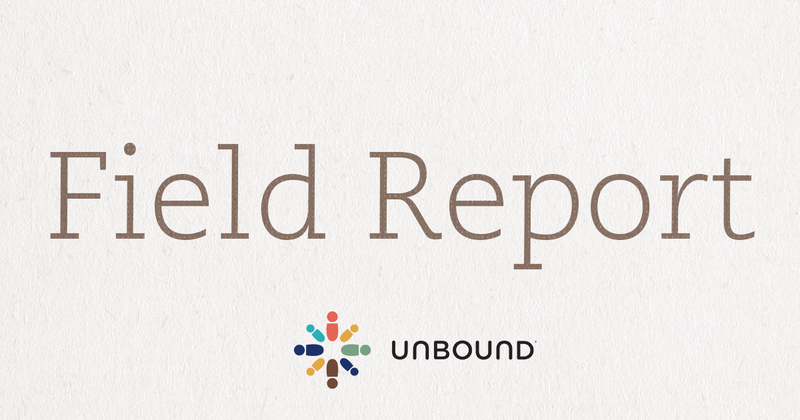 Unbound is helping the families we serve there get through skyrocketing inflation, widespread food shortages and large-scale protests that have been occurring on a near daily basis. The Unbound program in Venezuela is located in Barquisimeto, where we serve more than 3,400 families. Staff and families there face daily hardship caused by unrest and economic instability, such as lack of food, transportation or electricity. Teams in our headquarters in Kansas City and in nearby Colombia and Bolivia are doing their best to support the staff in Barquisimeto, who are working tirelessly to ensure sponsored members continue to receive benefits and support. 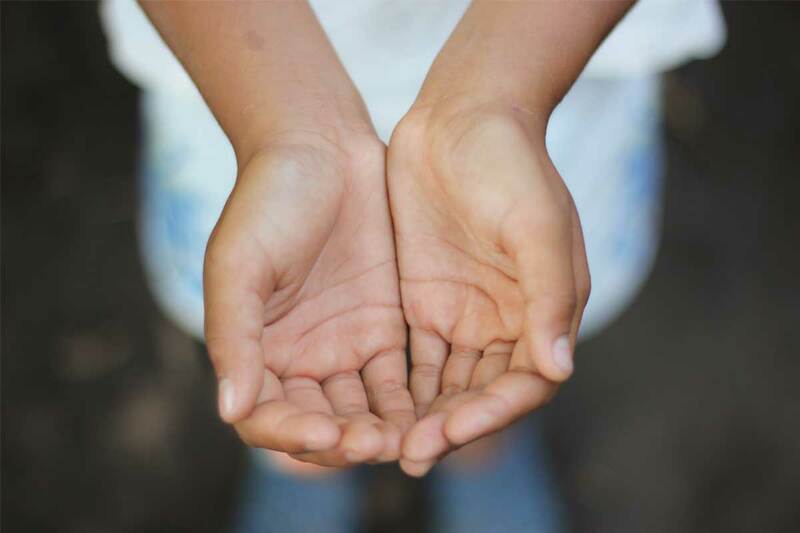 Eliezer J. Lobo R., Unbound’s general coordinator in Venezuela, recently wrote a letter addressed to those who sponsor children and elders in his country. He provided an update on how the situation there is affecting our sponsored members and their families, and how the families and our staff are innovating and adapting within the current reality. Because we know others have concerns about the situation in Venezuela, we’re sharing the letter here as well. As we see over and over, despite the challenges, the families we work with are full of hope. They envision a better future for their children and for themselves. 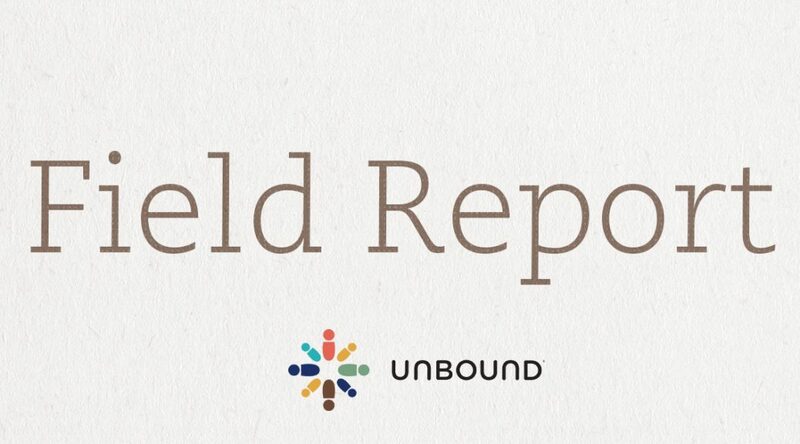 Unbound is there to partner with these families as they work to achieve their dreams, and we’re there to support them through their struggles. We ask that you keep these families, and all the people of Venezuela, in your thoughts and prayers. Christmas cards made by sponsored children in Venezuela. 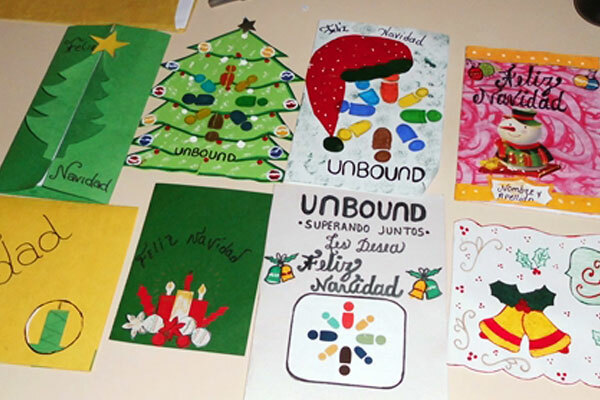 This month, in cities and towns all over the U.S., Unbound sponsors will be receiving Christmas cards from their sponsored friends. A small expression of cheer, gratitude and creativity, these cards have become a cherished Unbound tradition. But what sponsors may not realize is that when their card arrives in their homes it is at the end of a very long journey. In most of our 21 countries, the process of creating Christmas cards begins in the summer. Following a few practical guidelines set by the Kansas office, the various project staffs form their individual plans. Some will create themes or design templates, while others set wider parameters that allow for more personal creativity.